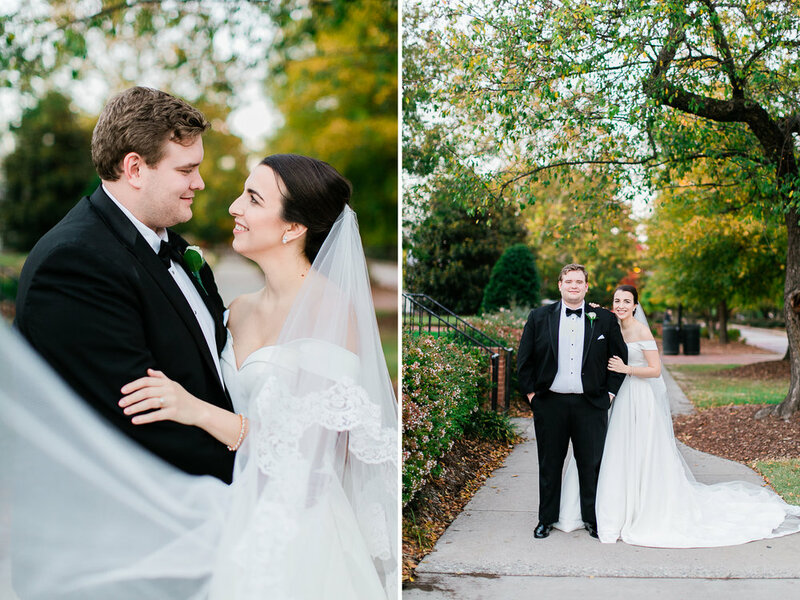 Tanner and Julie had their wedding on a beautiful November day in Greensboro, North Carolina. 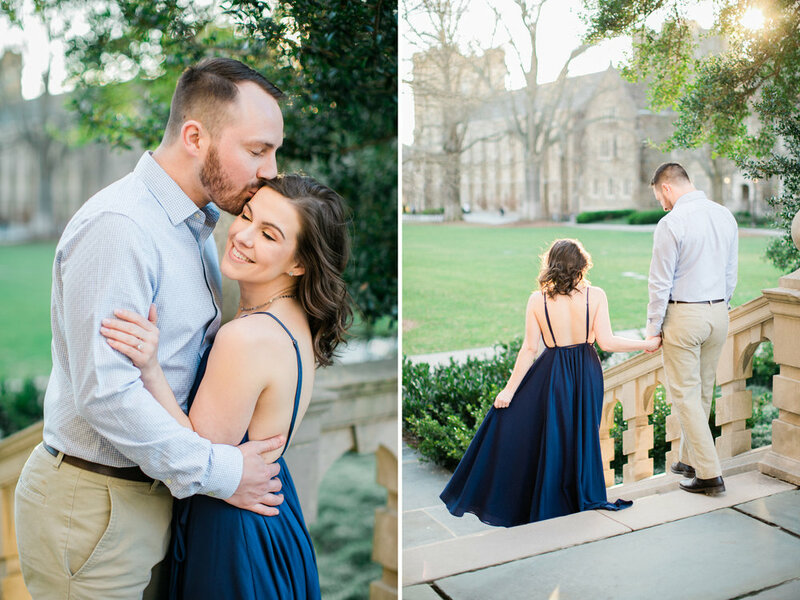 Their wedding ceremony was held at Holy Trinity Episcopal Church with a reception to follow at the UNCG Alumni House. Everything about their wedding day said classy, classy, classy! 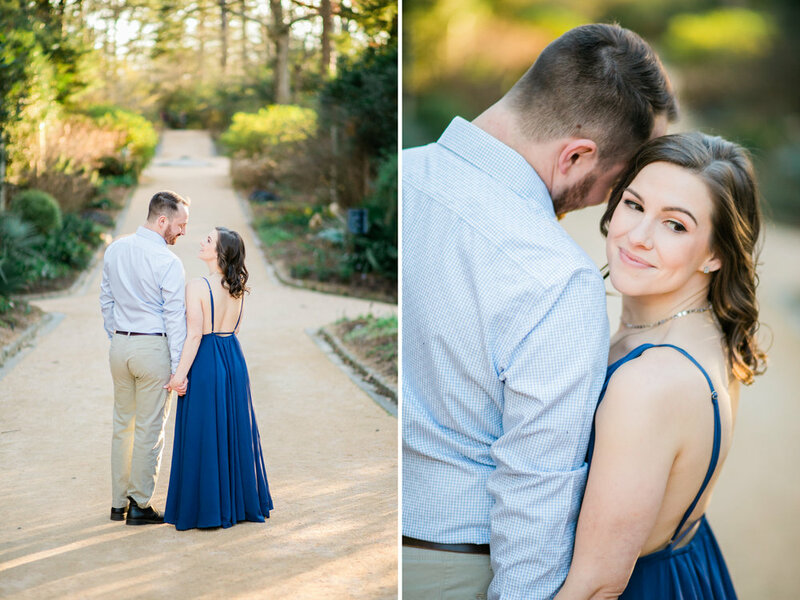 I loved working with them both and was honored to capture the beginning of their story as husband and wife! Modern, clean, organic, with a nod to European elegance—this was the vision for Perfectly Pretty led by AMANDA BLAIR BY DESIGN. A soft color palette with mostly neutrals and a pop of dusty rose quartz keeps things light and feminine. A textured tabletop feels light and fresh while PLUME EVENTS dressed the look with arrangements in soft pinks, mauves, and hints of purple undertones. 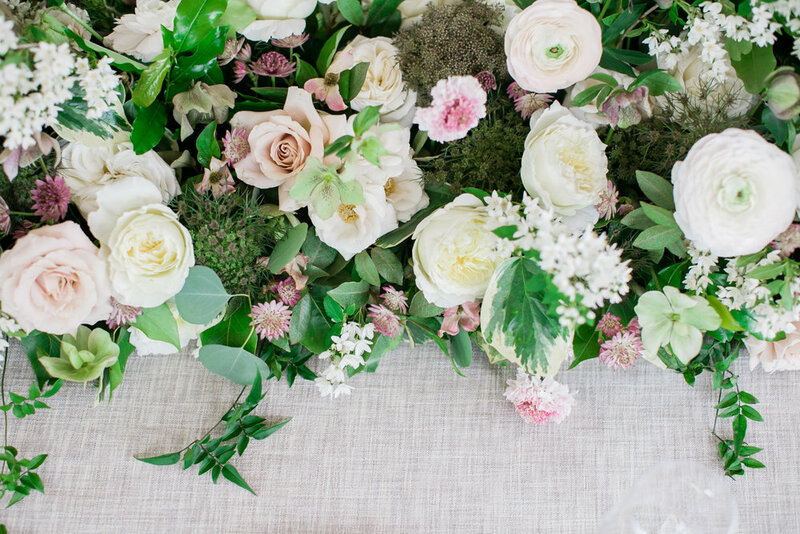 The tablescape florals were low and lush – “growing”, spanning the entire table length. 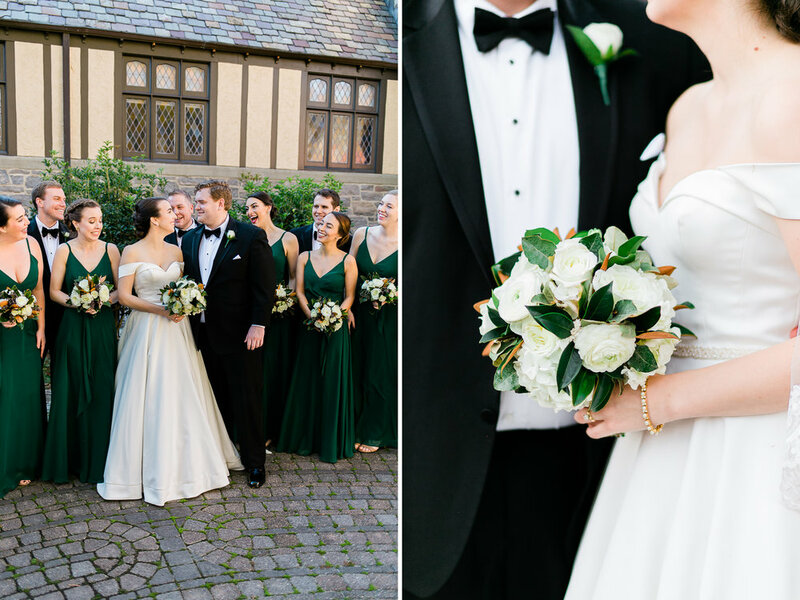 Lucky for us, the team enlisted ALAINA RONQUILLO PHOTOGRAPHY to capture the look in these lovely images. 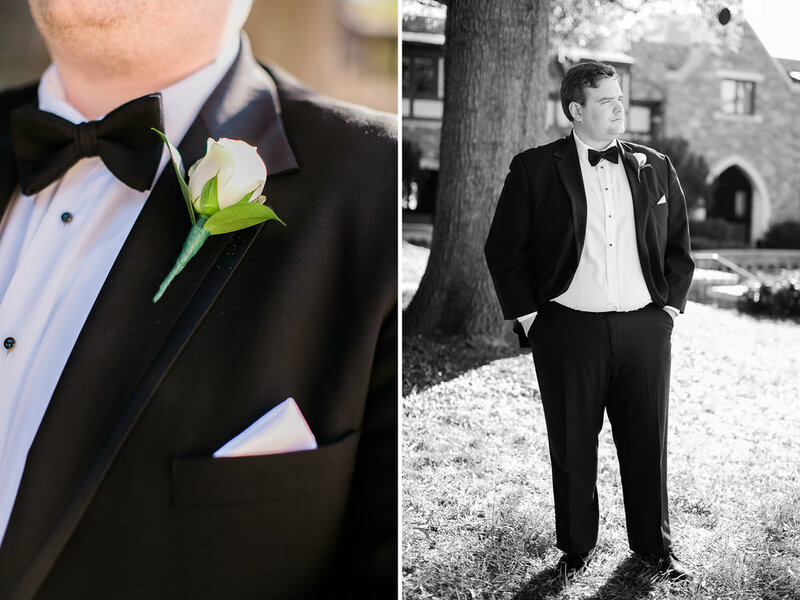 Adam and Amanda’s wedding took place on September 15th at Berry Hill Resort in South Boston, Virginia. And yes, that happened to be the weekend of the Hurricane Florence madness. But let me tell you…that hurricane did NOT get in the way of this wedding. The rain held off the entire day until the reception. It could not of been more perfect! Luckily, my husband came along for the journey so I wouldn’t have to drive alone. We headed up to Virginia on Thursday to beat the storm. It also happened to be our Anniversary that day too! So we also took advantage of the situation and looked at it as a mini anniversary getaway. If not, we probably would of been trapped in our home in Raleigh with no power! Berry Hill Resort was absolutely beautiful. It was so quaint and historic. Every room in the mansion was different and had its own character. I hope it will not be my last time visiting this beautiful venue! 1.) Amanda wanted to have a first look with her bridesmaids. And the look of her bridesmaid’s faces when Amanda walked into the room was priceless. It was such a sweet moment! 2.) 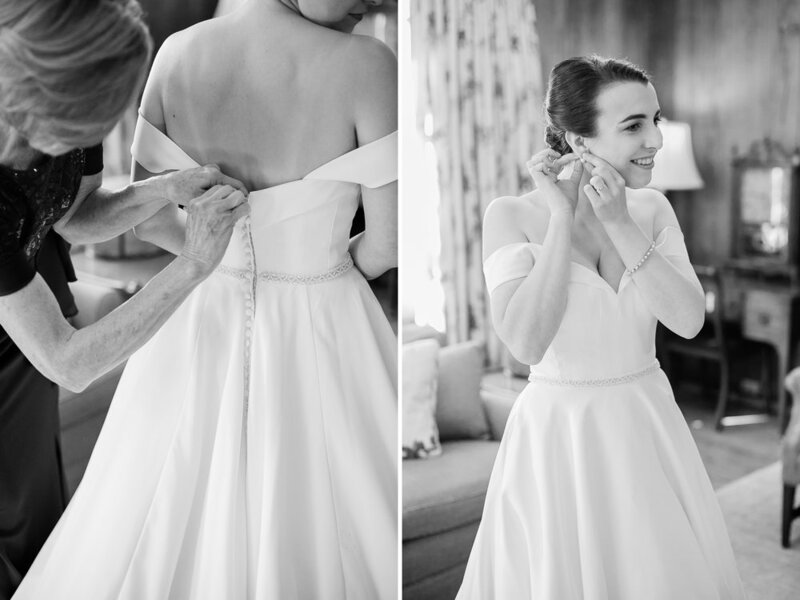 I love when my couples decide to have a First Look or “First Touch” moment. Both Adam and Amanda hid behind a door only being able to hold each other’s hands. 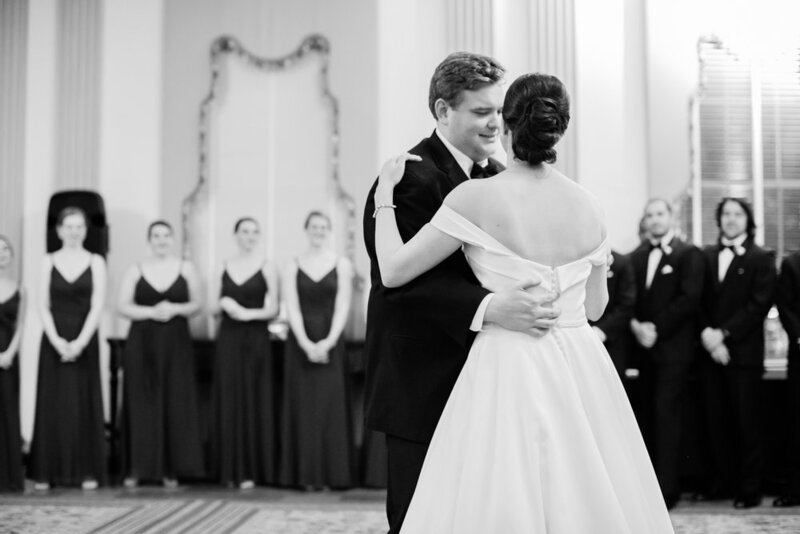 They didn’t see each other before the ceremony, but this intimate moment was the perfect way to just say “Hi” and to check how the other is doing. Some times that’s all you need on a busy wedding day. 3.) Adam and Amanda’s First Dance! 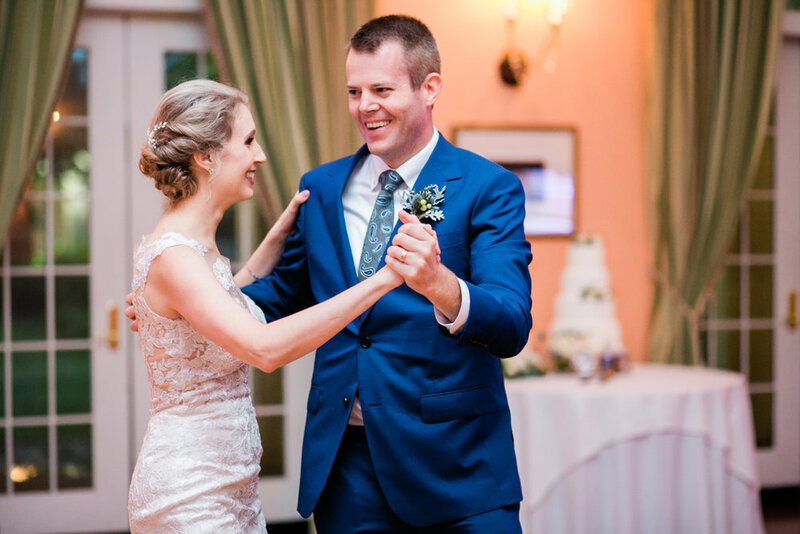 They both surprised their wedding guests by dancing the Fox Trot to Frank Sinatra’s, “The Way You Look Tonight.“ They did such a great job and I loved capturing those moments! 4.) Their wedding guests and family. I felt so welcomed by each of their family members. They were just the sweetest! And they sure did know how to party. You coudln’t get them off the dance floor. But that just made my job extra easy and more entertaining! Overall, their wedding was absolutely beautiful. Berry Hill Resort did not disappoint…even if it rained just a little. Congratulations to the happy couple! 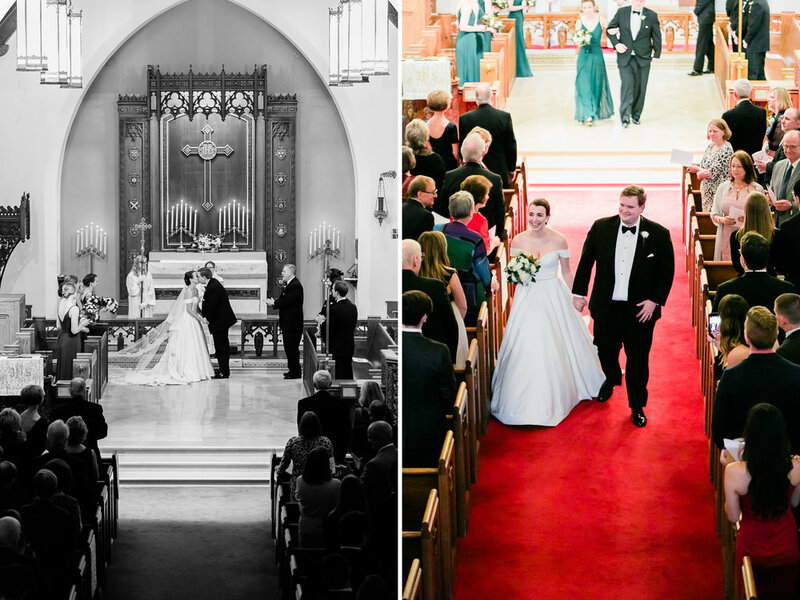 Thank you for choosing me to capture your special moments for generations to come!